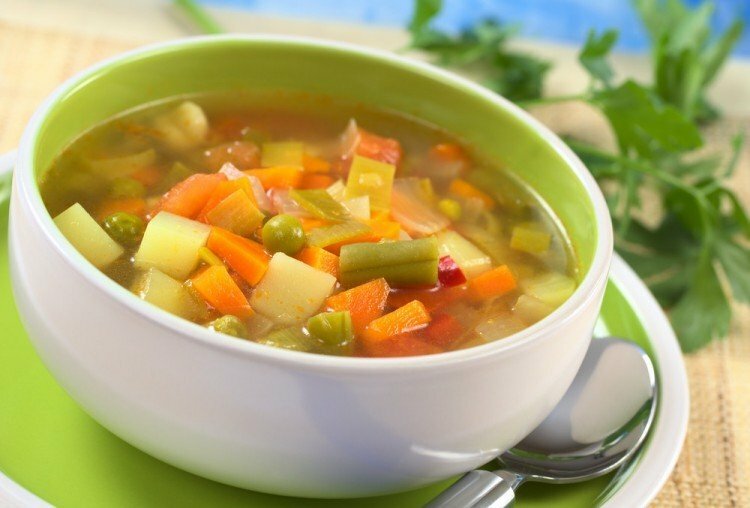 This versatile plant-based minestrone soup is low in fat, high in fibre and packed with vitamins, minerals and nutrients. The protein-packed beans and barley and satiety-promoting fibre, combined with nutrient-rich veggies and tomato broth (high in the super anti-oxidant lycopene) means this soup will fill you up not out! 1. Heat the oil in a large pot over a medium heat. Add the onion, garlic and celery. 2. Let them sauté until translucent, then pour in the stock, beans and barley. Simmer for 1 hour. 3. Add the carrots, courgettes, herbs, salt and pepper. Simmer, uncovered, for a further hour. Add the tinned tomatoes and simmer for 20-30 minutes. 4. Serve with the crusty bread and a sprinkling of Parmesan cheese. This delicious recipe has been extracted from Dr Michelle Braude’s book on nutrition, The Food Effect. Click here to find out more about the book and follow her on Instagram at @thefoodeffectdr. Avoid packaged, processed foods as much as possible. This means eating whole, natural foods that are close to, if not in, their natural state; for example, fresh fruit, vegetables, whole grains, nuts, eggs, dairy products and fish. The shorter the ingredient list on a package of food, the better it will be for you. Instead, stick to whole-gain, unrefined carbohydrates such as oats, wholemeal or rye bread, brown rice, sweet potatoes and quinoa. Slow-release carbs from whole-grain sources will give you the get-up-and-go you need to stay active and full of energy, while keeping your metabolism going strong and steady all day (and night). They are also great sources of fibre and other essential nutrients. It’s very easy to deny that you may have a sugar addiction. But if you feel the urge to reach for a chocolate bar every time your energy levels drop, or you simply cannot have an iced tea, yoghurt or breakfast cereal without it being flavoured, it could be time for a much needed intervention. Click here to find out how to kick that sugar addiction.